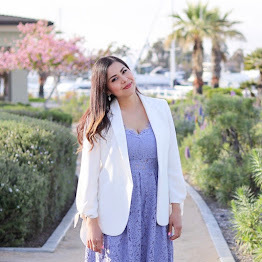 One of my blog's most important tasks is to give you ideas on how to wear pieces in different ways and to show you how versatile some pieces (especially if it means saving money in the end). We all know basics are versatile but what about those patterned dresses or colored coats that at first thought seem like a one time thing? Well, today I wanted to recap 3 looks that I have done on the blog that demonstrate 1) two ways to wear a pink coat from casual to dressy and 2) two ways to wear a mod dress from hot to cold! Let me know if you like these kind of posts in the comment section below and I'll rework some other pieces in my closet! You provided fantastic ideas. Love seeing fashion blogs that actually help others and not all about posing pretty. Thanks for this very creative, very authentic post. Love this and it's such a creative post too and you're right, it's so important to be able to switch up looks. I really like it shows the looks in different seasons too and the pink with the Hunter boots is so fun. Can't wait to see what's to come on Lil Bits of Chic in 2014. I have the same HUNTER Boots! Three fabulous looks Pau! I remember you mentioned you got a pink coat similar to mine, you wore it in such a fabulous classy way!